Modern furnaces are designed to be much more energy efficient than heating systems in the past. 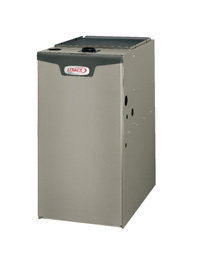 The cost savings on energy by installing a new high-efficiency furnace can be significant. Some of our furnaces operate with efficiency ratings as high as 98 percent. 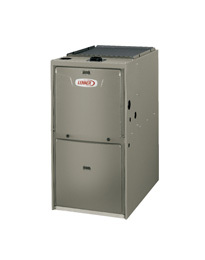 Our HVAC technicians install all makes and models of furnace, including high-end brands such as Lennox and Carrier. If peace and quiet is a top priority in your home, we sell the quietest furnaces currently on the market. Gandy can make custom designed fittings to connect new furnaces to existing ductwork. From measurements taken on site, a fabricator in our sheet metal fabrication shop builds a transition piece, which makes for a precise, airtight fit and a clean, professional look to the final HVAC installation. More than just heat your home, furnaces are also designed to improve indoor air quality through the use of air filters. All of our furnaces include a standard high-efficiency air filter, suitable for most households. We also carry top of the line filtration systems equipped with bacteria-killing UV lights and odour neutralizers. We offer free in-home consultations to help you choose the furnace that’s right for you. During your consultation one of our friendly and knowledgeable comfort advisors will discuss your unique situation, suggest recommended furnaces for you to consider and answer any questions you may have. Gandy Installations can also offer a parts and labour warranty underwritten by the manufacturer for the furnaces we install. High efficiency, single-stage furnace with power saver technology! High efficiency, two-stage furnace with power saver technology! High efficiency, two-stage furnace with variable speed fan motor! 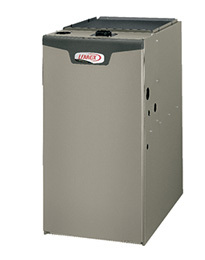 The quietest and most efficient furnace you can buy!